RAPID UBC® is a lateral flow immunoassay test to be applied as a tool in the diagnosis and management of patients with bladder cancer together with common diagnostic procedures. Test results are available in 10 minutes. It determines soluble fragments of cytokeratin 8 and 18 in urine samples. 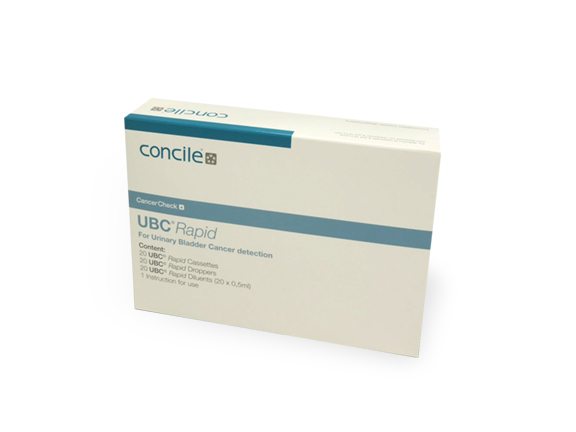 UBC® RAPID is presented in a kit containing: materials for 20 tests.